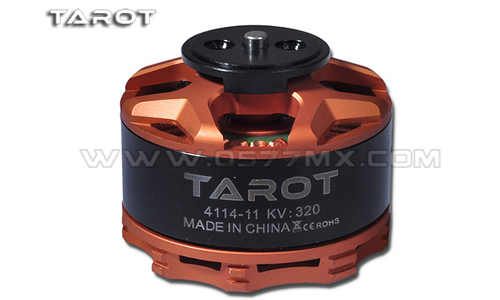 4114/320KV Brushless Motor is designed for multi-copter. CNC processed, smooth surface and well-balanced. Brand-new turbofan cover, which provide good heat dissipation effect. Rotor is made by neodymium iron boron, and stator is made by Epoxy resin, motor is well-balanced from factory, which solves vibration issue a lot. Motor shaft is alloy steel applied. Motor upper and lower cover are special bearing applied, which has advantages such as low frictional torque, low power consumption, impact resistance, strong radial support.